cellinkntoner has no other items for sale. Very satisfied, Excellent E-Bayer, Highly Recommended!! Genuine Ink is the best!! Genuine Ink from leading brands excels in every way. 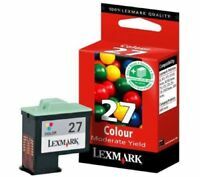 I made a comparison with the ink that was remanufactured vs. the genuine ink from Lexmark and the results were immediately disclosed, as Lexmark Genuine Ink was the best by far. The print-out was clean and the color(s) were dramatically vivid and clear. 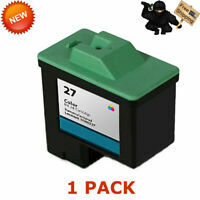 I highly recommend this product for the Lexmark printer. I have only started using the first cartridge, and it works as if it were new. Would have paid more for a new cartridge than I did for all four. So at this point, I am very satisfied. 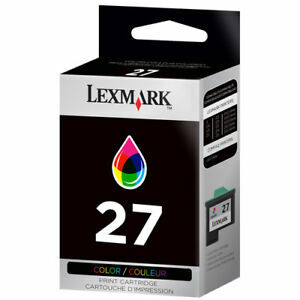 Lexmark color 27 is great. Was a great buy on this ink. This is the type I use for my lexmark printer. It gives me great pictures true color and it lasts.